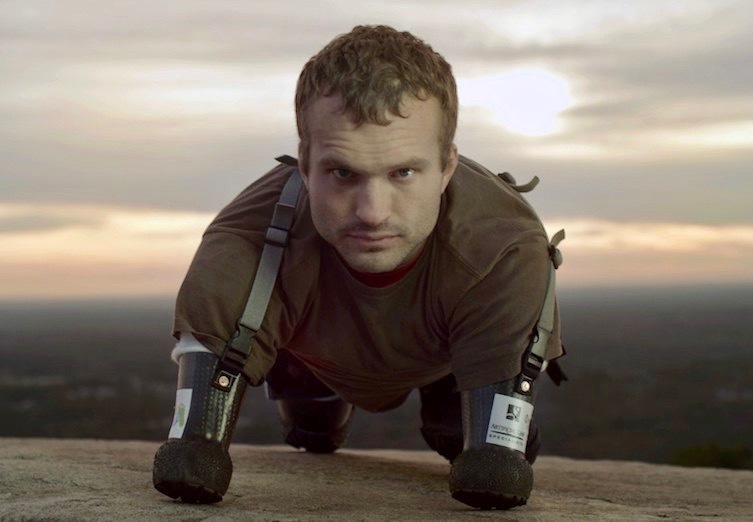 Imagine the challenge everyday tasks become if you were missing just one of your limbs, say an arm or a leg. Now imagine effectively not having any. Now, after you learn to surmount the subsequent complexity and effort in being autonomous with personal hygiene, getting dressed, eating, travel, etc, try to compete in high school football, wrestling, then attempt to climb – check that, bear crawl – a mountain, wait, make it Mt. Kilimanjaro. Yeah, this is just SOME of what Kyle Maynard has accomplished. Listen as I interview quadruple congenital amputee Kyle Maynard, who has competed in more extreme sports than most able bodied people. Kyle is an entrepreneur, speaker and best-selling author of the book “No Excuses“. He was the focus of a moving ESPN documentary called “A Fighting Chance,” has appeared on Oprah, HBO Sports and ABC’s 20/20. He was on the University of Georgia wrestling team, he is an ESPY award winner, the first quadruple amputee to climb to the top of the highest mountain in Africa at 19,340 feet, and the summit of Argentina’s Mount Aconcagua at 22,838 feet. We talk about out how the environment Kyle grew up influenced his resilient mindset despite his physical setbacks. His parents “Jedi-mind tricked” him into believing that he was capable of doing the same things his able-bodied peers could do – a projected prediction that caused itself to come true. Every day we’re faced with a choice – do we want to live within the confines we’ve set for ourselves or do we want to try to surpass them? Kyle’s story serves as a reminder that we never know what we are capable of until we try and push.